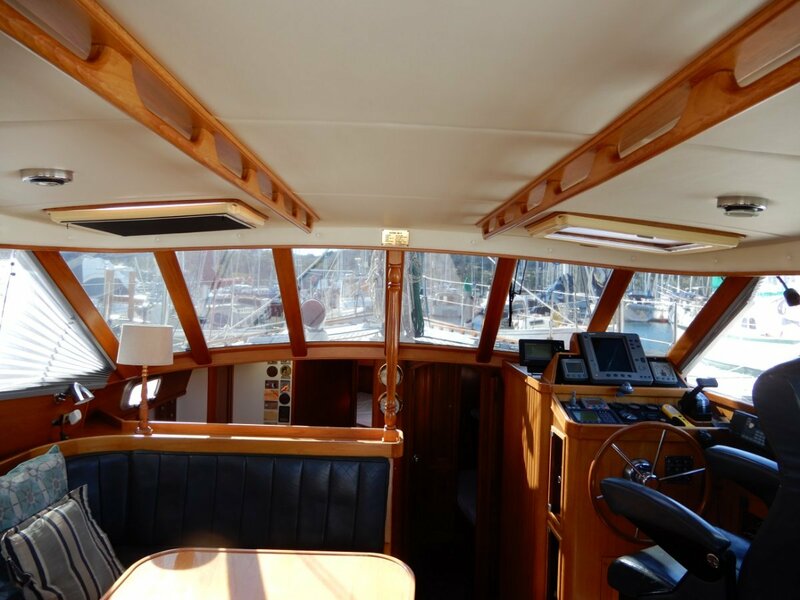 Buizen 48 Pilothouse EXCELLENT CONDITION TWO OWNERS ONLY! 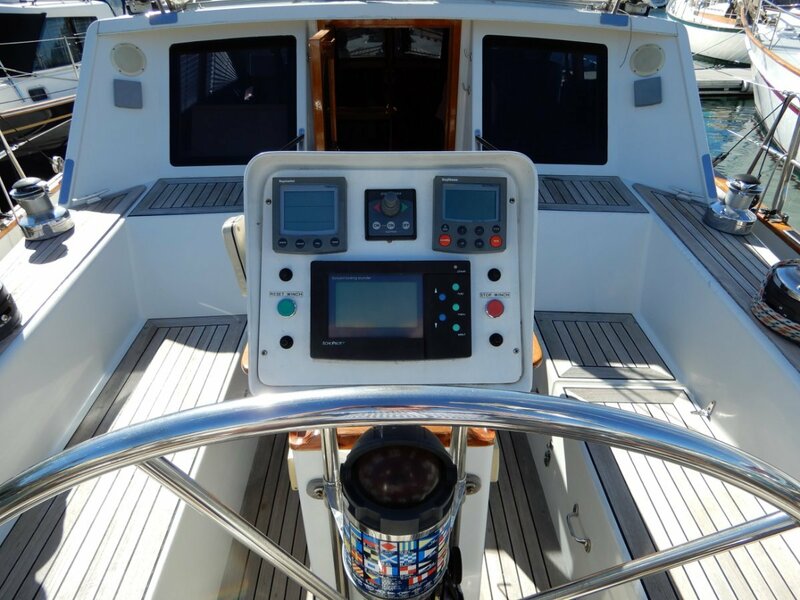 The BUIZEN brand can only be regarded as the marque other brands are measured against with the BUIZEN 48 regarded as the doyen of all serious pilothouse yachts. 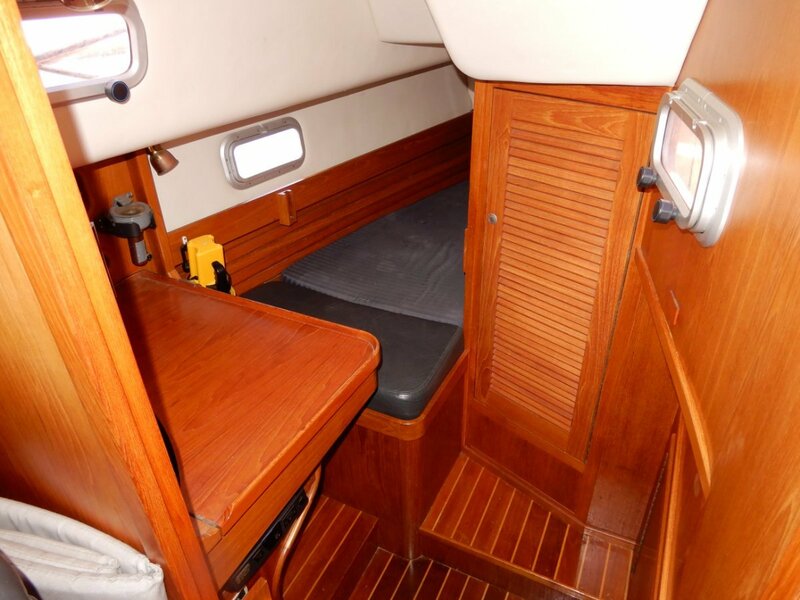 The European brands such as Jeanneau, Beneteau, Bavaria, Hanse, Moody or Catalina have never been able to offer the design and quality of a Buizen pilothouse. 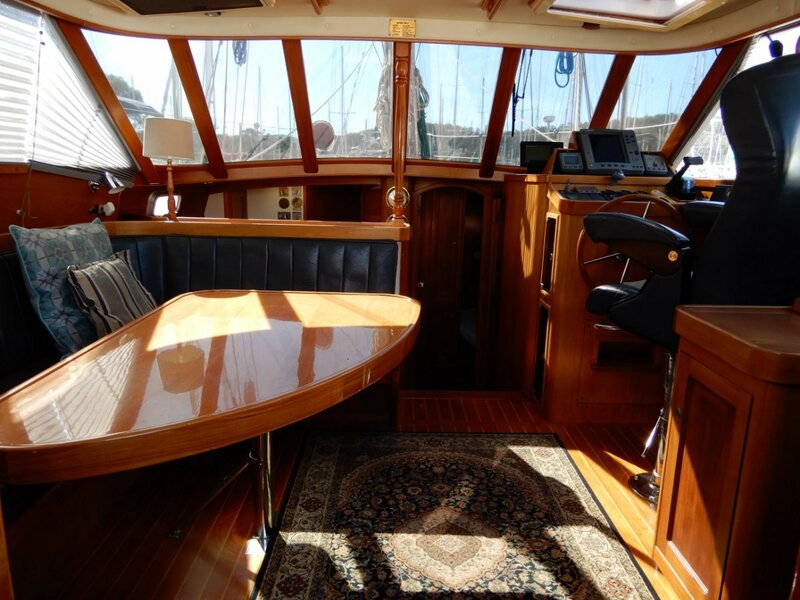 This vessel has only had two owners and its excellent presentation and condition is an absolute credit to them. 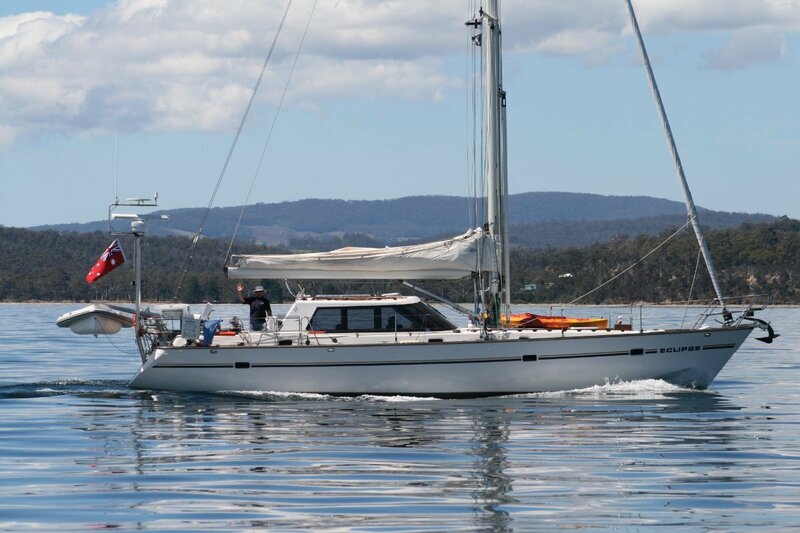 Launched with the performance rig the boat was sailed by the well know Tasmanian owner across Bass Strait singlehanded many times including trips to Hamilton Island to compete in race week and even a Sydney Hobart, plus raced locally with success while regularly cruising our coastlines. 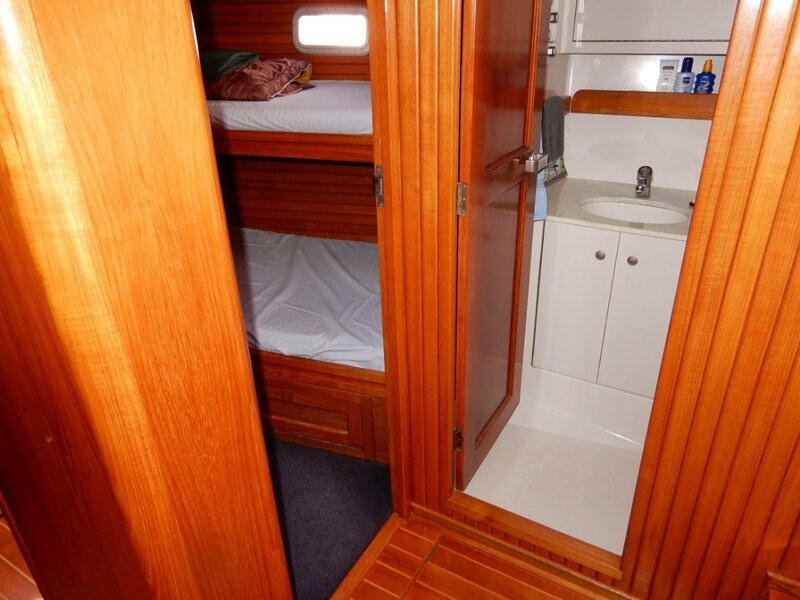 The current owner has cruised Tasmanian waters extensively enjoying the Buizen reputation for performance safety and comfort. 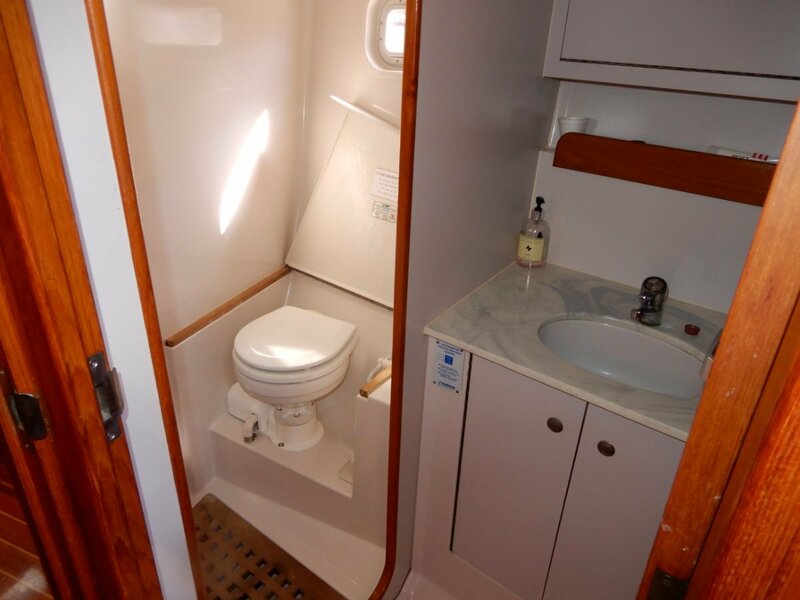 This boat, could be judged as a much later model than its 1993 launch. 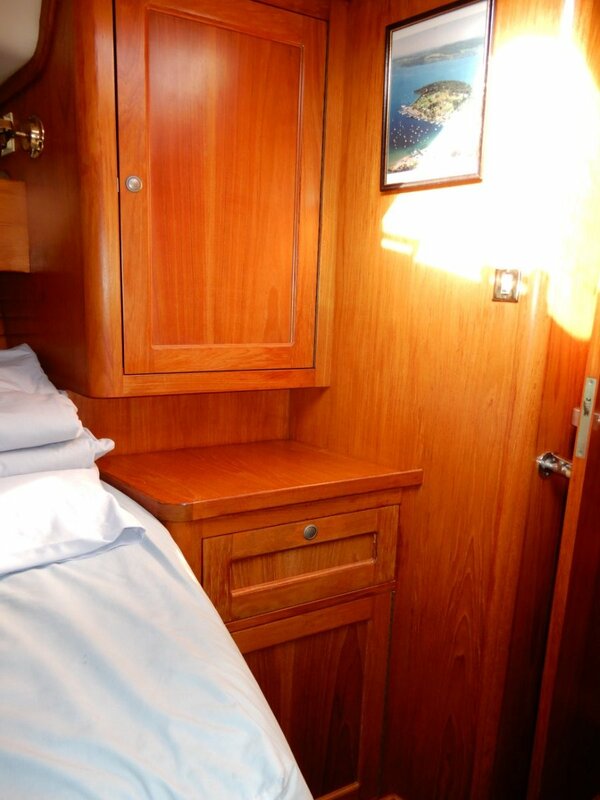 The layout features easy entry into the spacious saloon, a light airey space with the feel of a much larger vessel, the full windows allowing excellent all round vision when seated at the leather dinette/ saloon with space for 8 plus and particularly for the helmsperson utilising the internal steering station, absolutely unlike a yacht. 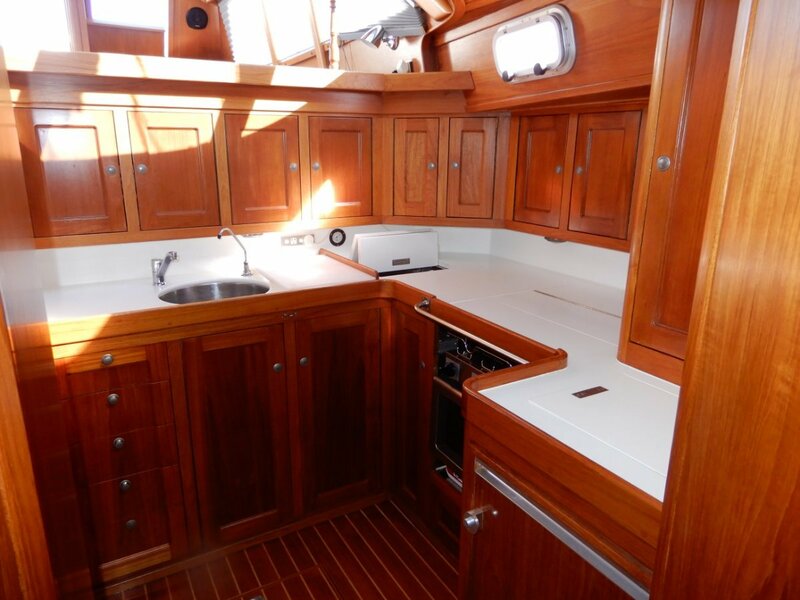 Again just two steps down into the lower level with galley offering excellent storage and bench space, 2 burner stove with convection microwave oven, top opening fridge and freezer plus front opening fridge for day use, all beautifully finished in teak cabinetry and corian type benches. 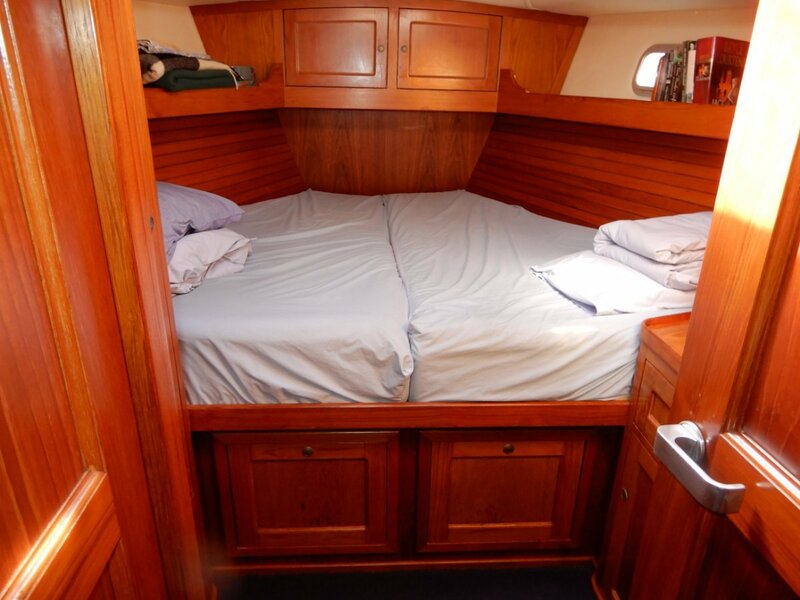 Note: the galley is just below the saloon area but the chef is not isolated, the clever layout ensuring the two areas flow very well together. 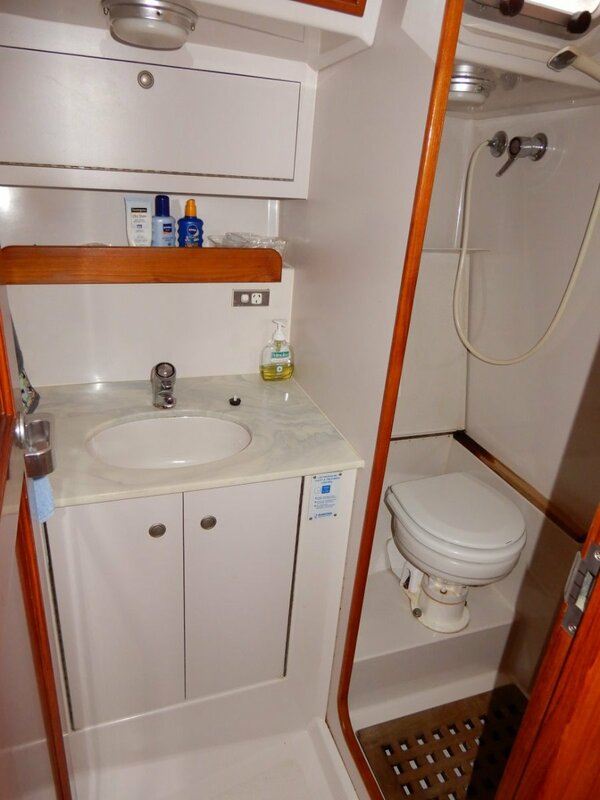 At this level is the master cabin with full ensuite, a twin cabin with bunk style berths plus the main bathroom with separate shower stall and toilet. 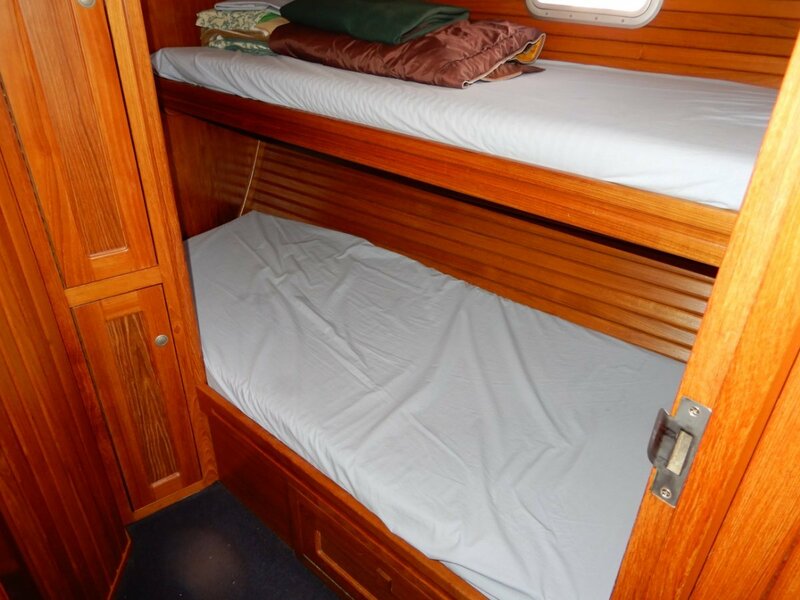 The teak fitout is in excellent order through out this level, as it is the entire boat but without a closed in timber feel. 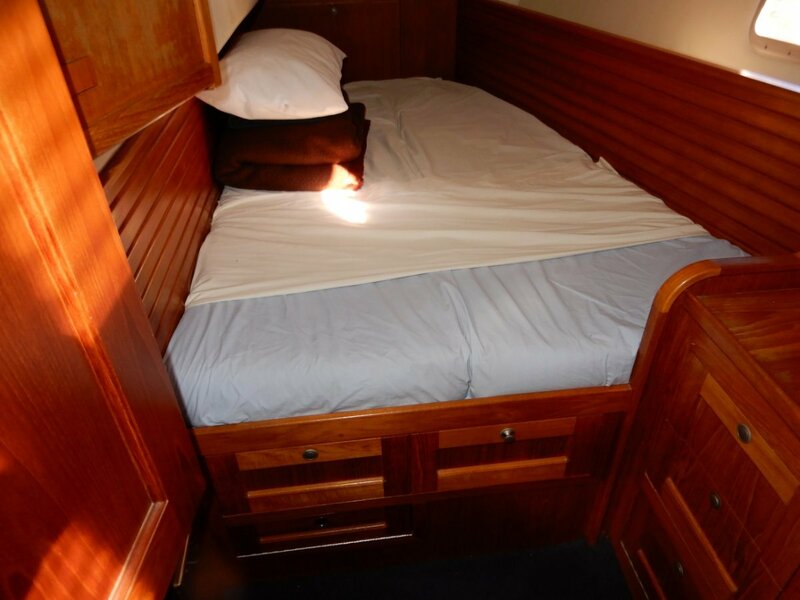 Aft of the saloon is another fully enclosed double cabin to port and then a quarter berth to starboard which is an ideal sea-berth when passage making including a dedicated nav station complete with the necessary electronics. 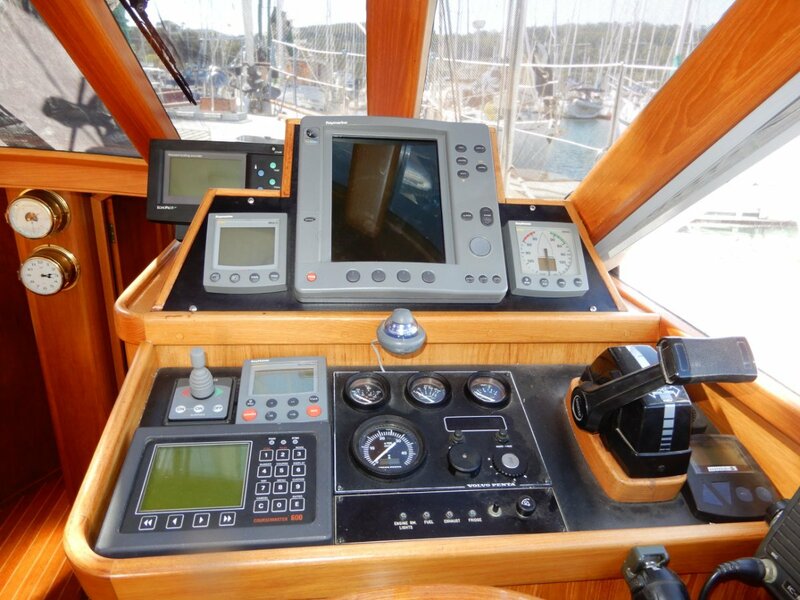 The well designed cockpit allows good space for sailing the boat either crewed or short-handed, all lines are lead aft and power winches means effortless operation of sheets and halyards. 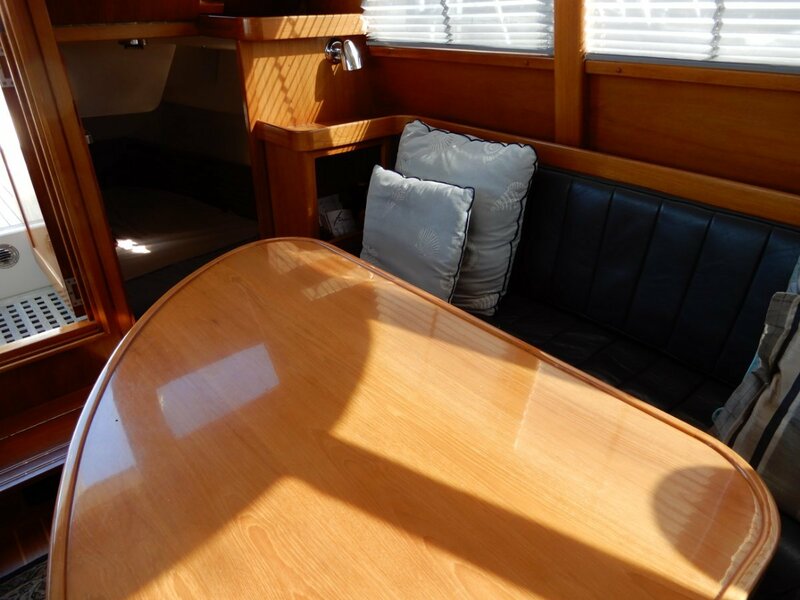 It is also an entertainers delight with spacious seating, including aft seats behind the helm which are a great feature when underway, teak table and laid teak floor and seats. 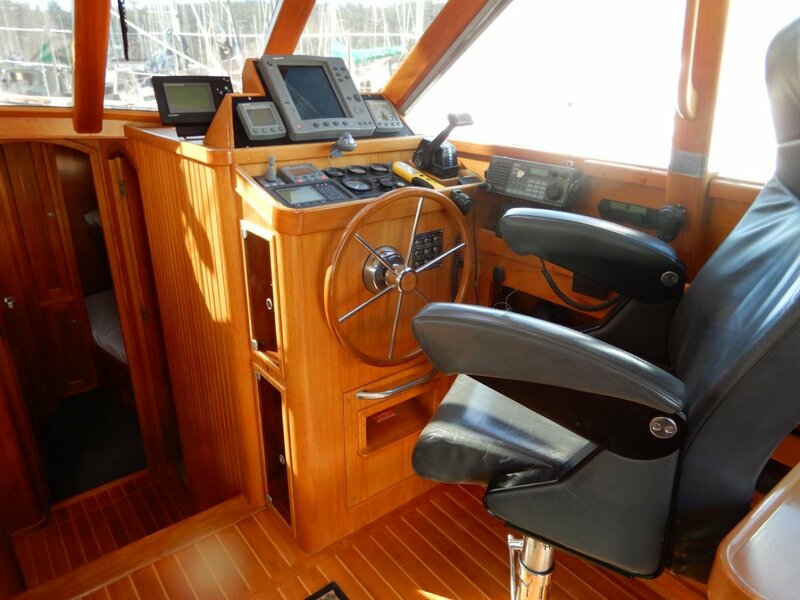 The engine was upgraded to a 100hp Volvo and has done approximately only 2600 hours. 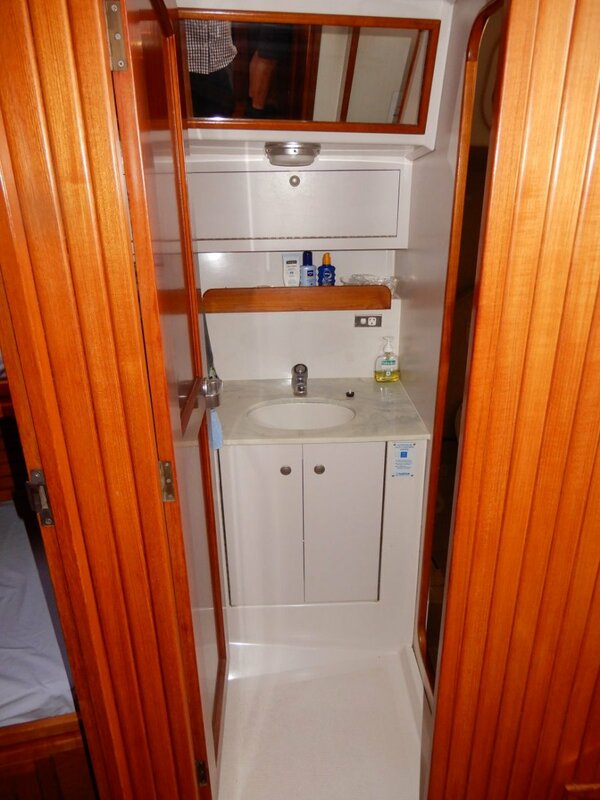 A good complete inventory of electronics is fitted plus genset and diesel heater. 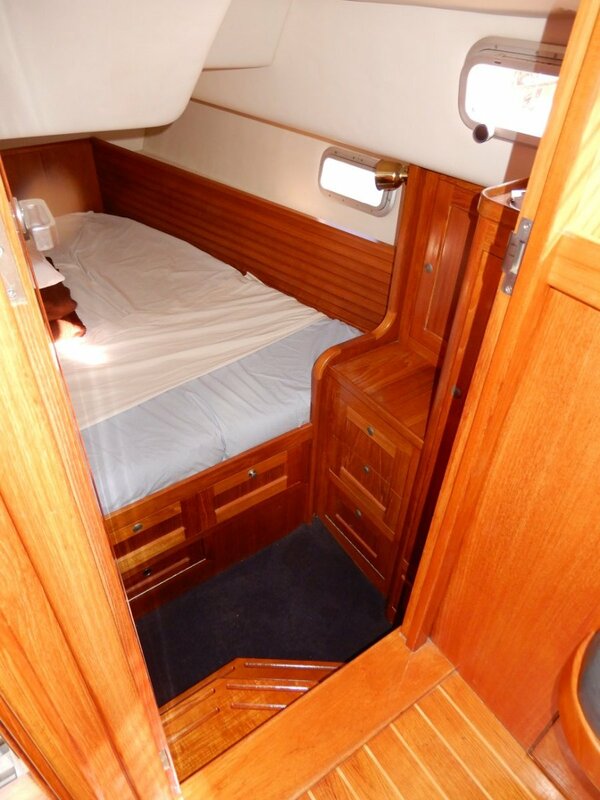 In summary a great example of this superb design. 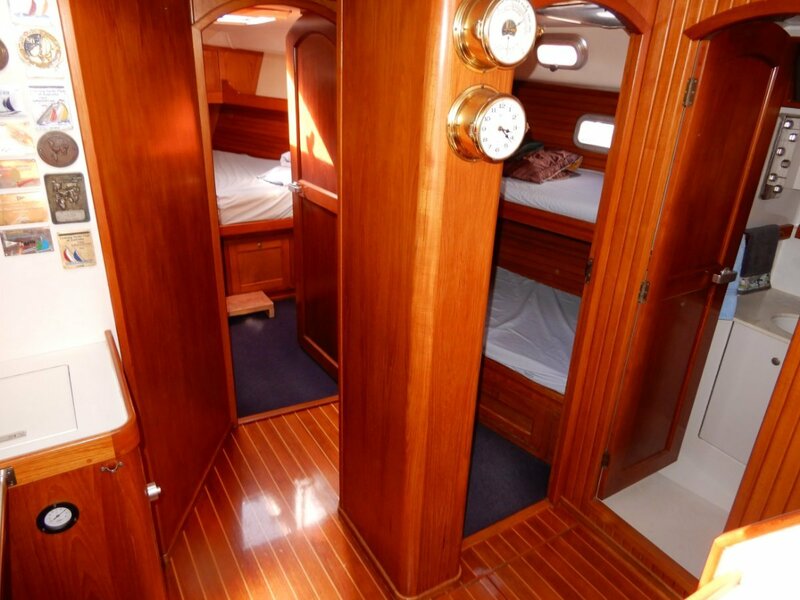 - priced accurately offering fair value. 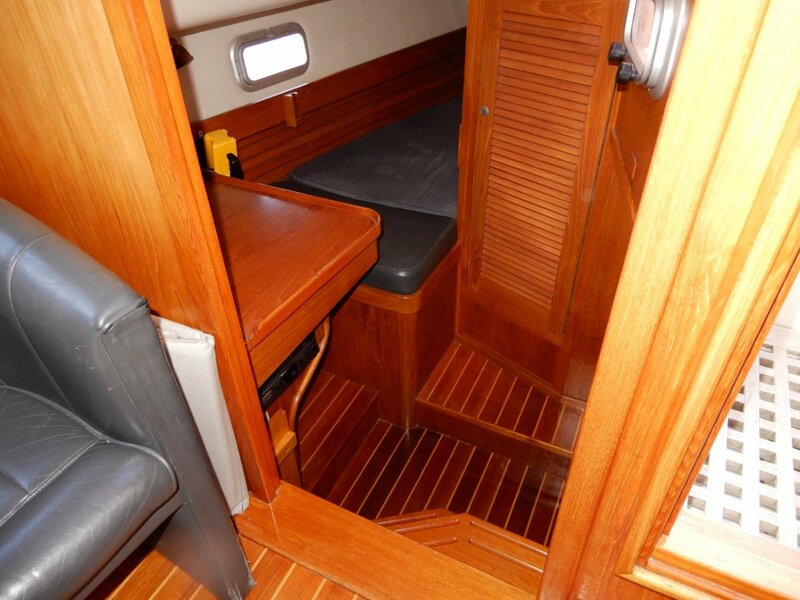 Great storage and bench areas in a superbly fitted space. 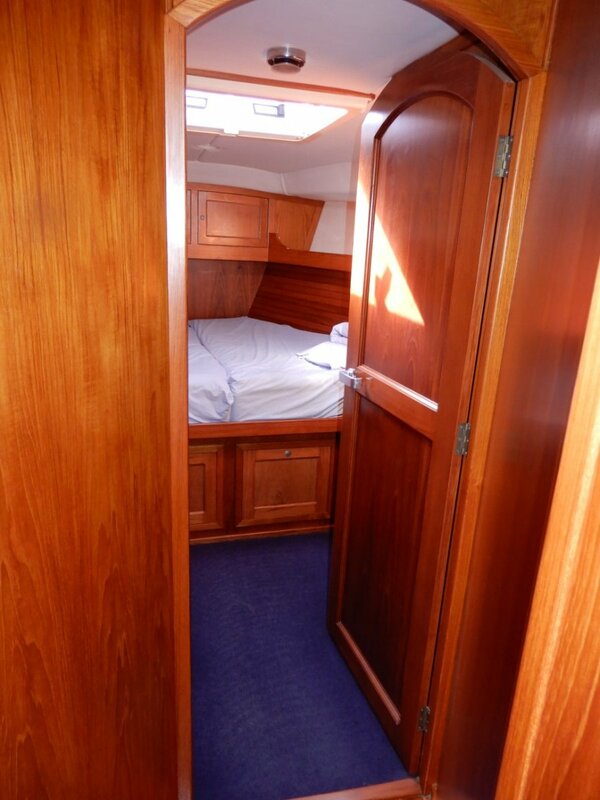 Beautiful fitout with spacious saloon, well laid out and appointed galley, two full bathrooms and will sleep eight in 4 separate cabins. 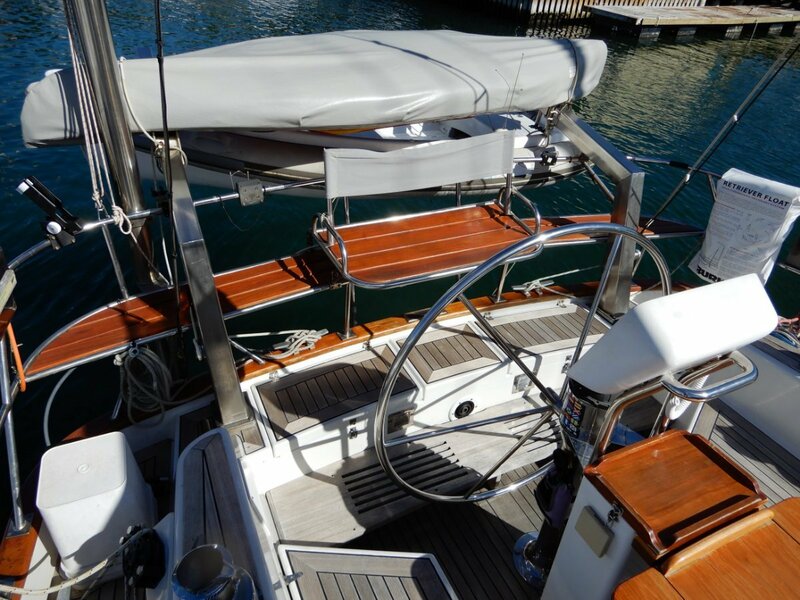 1 X Mainsail fully battened and fitted with single line reefing system allowing one person to hoist, lower and reef using powered winches without leaving the cockpit. 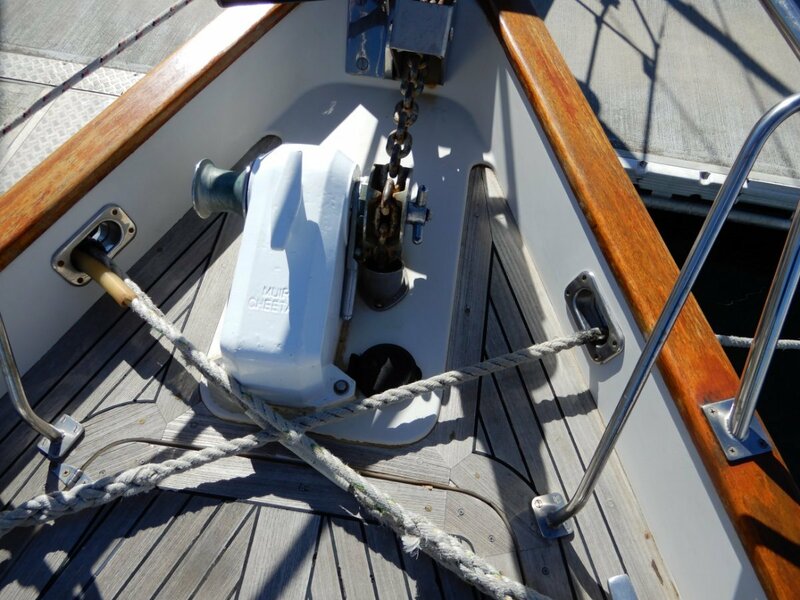 1 X D4 Genoa on Furler constructed to maintain shape down to storm jib size when roller reefed. 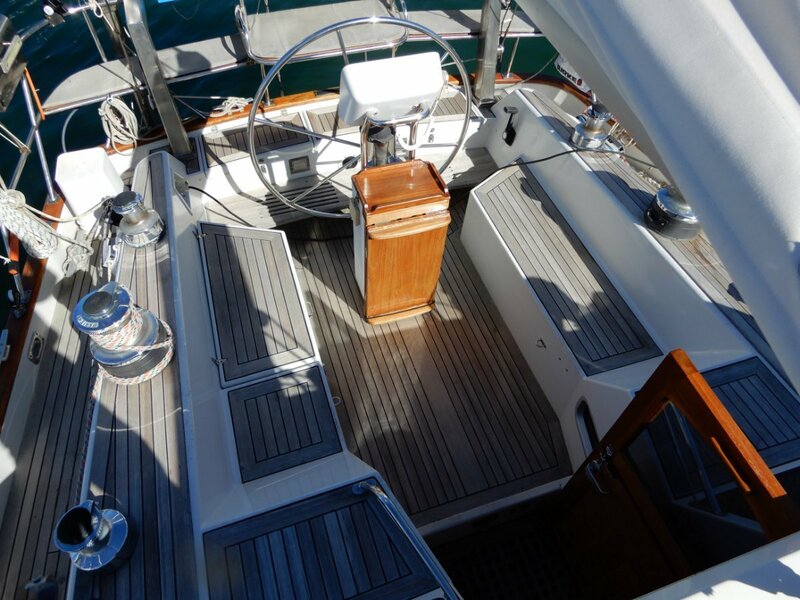 1 X Trysail, Storm jib and Staysail. 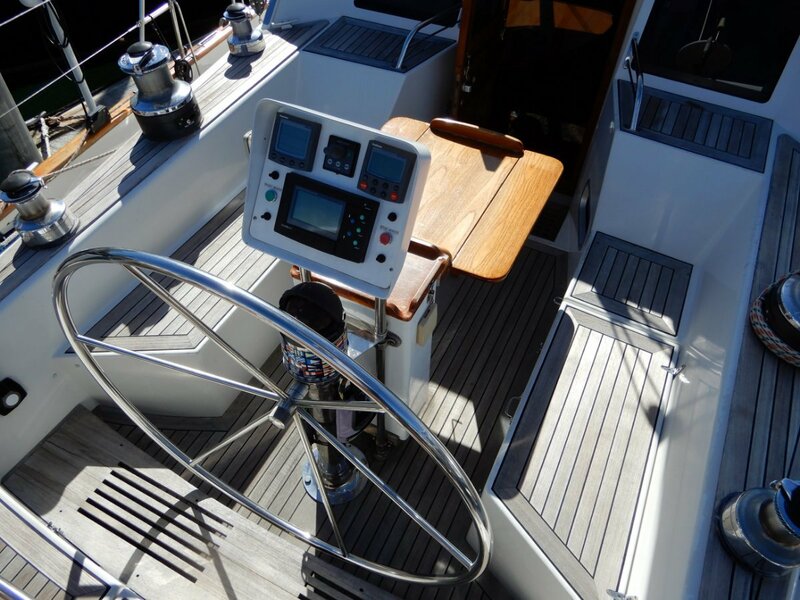 Racing Double spreader mast head rig with Stainless steel rigging including Twin backstay's and Inner forestay with Hyfield lever. 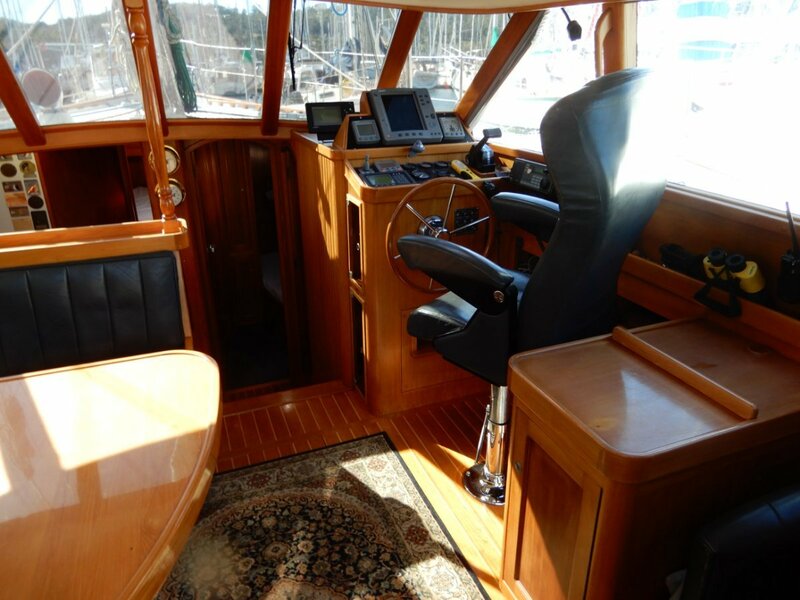 The boat has been meticulously maintained with an extensive operations manual, full service record and detailed repair and maintenance schedules. 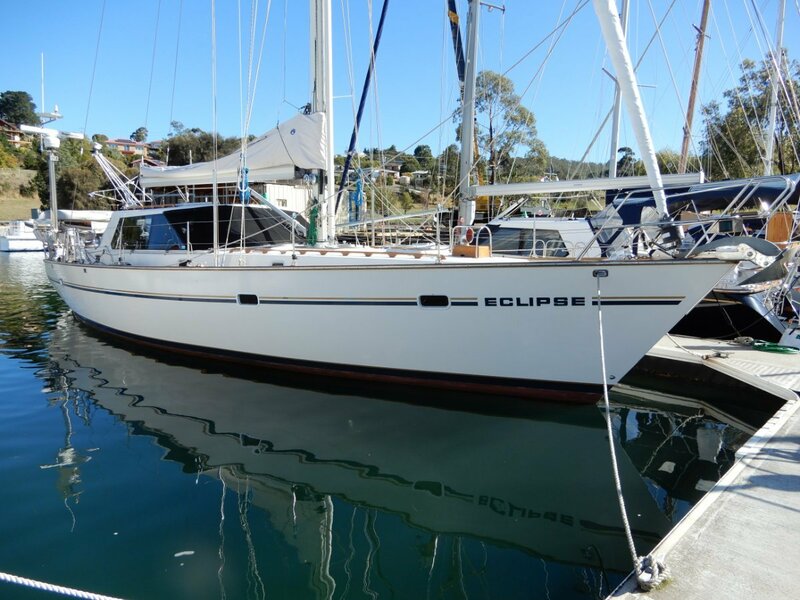 Eclipse is a fast sailing boat with a Racing rig and Winged keel. 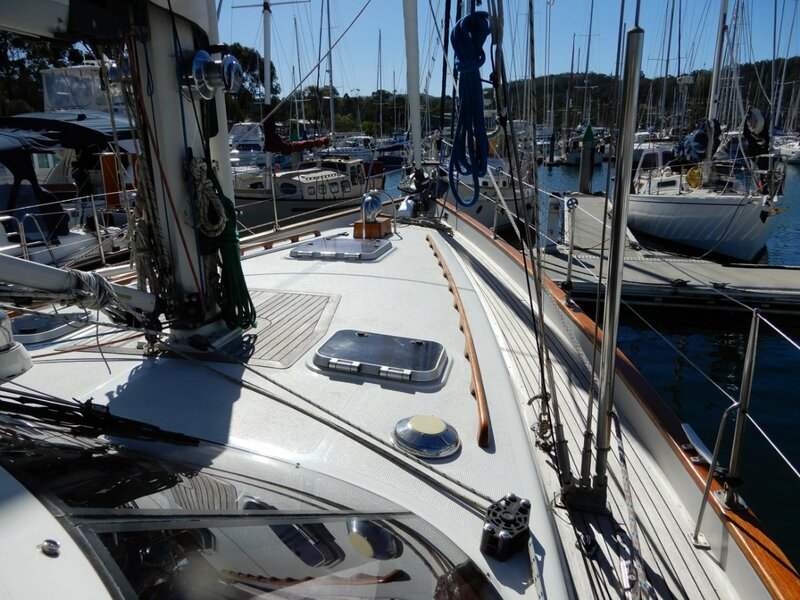 This boat under it's previous owner, David Gough finished in second place overall handicap in the classic division of the Sydney to Hobart Yacht Race.